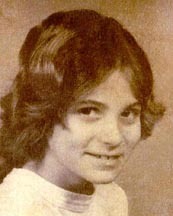 Kimberly stayed overnight at a friend’s house on September 15, 1979, in Warren, MI. She left the following morning to make a telephone call across the street, but never returned to her friend’s home and has not been heard from since September 16, 1979. Posted on Monday, January 26th, 2009 at 8:55 pm. Last updated on Friday, May 11th, 2018 at 9:50 am.